Frosty morning II, a photo by The Bacher Family on Flickr. 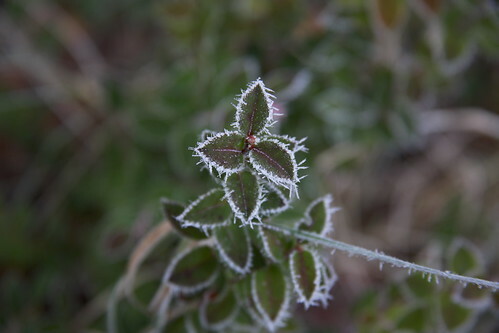 Another image from the frosty morning in mid January. 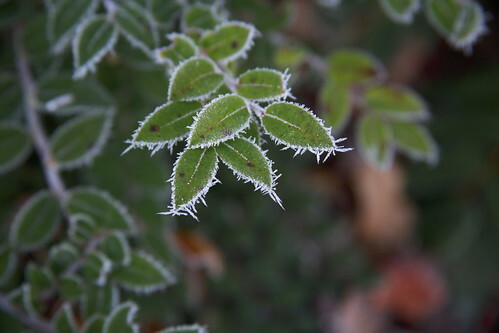 I like the contrast between the white frost and the deep green leaves in this image, with the out-of-focus vegetation in the background.